Mayhem in Mesquite III will return to the CasaBlanca Resort Event Center, Saturday August 24th. Who needs zombies when you have MAYHEM?! Saturday, August 24th Tuff-N-Uff Future Stars of Mixed Martial Arts and the Casablanca Resort & Casino are bringing MAYHEM IN MESQUITE III to the CasaBlanca Events Center. 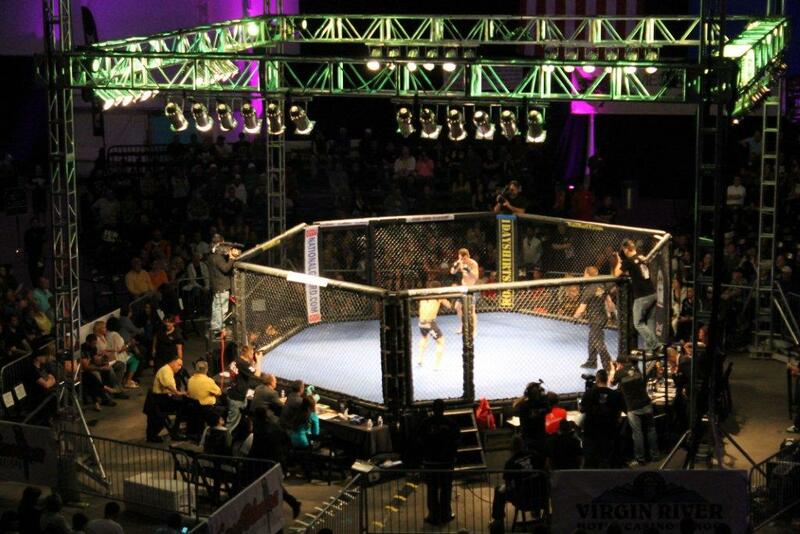 The rousing success of MAYHEM IN MESQUITE II in March has proven that Tuff-N-Uff’s MMA have definitely earned their place as a premier sporting event. As with every MAYHEM, there will be an astounding lineup of future MMA superstars which will feature bouts that would rival the excitement of any professional fight. Tuff-N-Uff promoters have delivered fight fans with the best in Future Stars of Mixed Martial Arts for each and every Mesquite fight, and anticipate that Mayhem in Mesquite III will be another outstanding evening of raw brawling and extreme action from MMA’s next generation. Be sure to join us at the Fight After Party in the CasaBlanca Showroom from 10pm-1am for music & dancing with DJ Johnny Utah. Replays of the action will be televised on the big screens. The After Party is free with your Mayhem III ticket. You must be 21 and older to attend the After Party. Mayhem in Mesquite III tickets are available in advance through August 23. Prices are $25 for advance general admission, $30 day of fight. Advance VIP floor seats are $45- $50 day of fight. Anyone under 21 years of age wanting to attend the fight must be accompanied by an adult 21 or older and all ages are required to have a ticket to attend. For further information on Mayhem in Mesquite III or to purchase tickets online, visit Special Events at http://www.mesquitegaming.com. Tickets may also be purchased by calling StarTickets 800-585-3737. Join Mesquite Gaming and the CasaBlanca Resort and Casino and Tuff-N-Uff for a weekend of full contact combat, future stars, music, an after-party and endless fun and entertainment.